Do you want to know how to get in the cannabis industry? Start the New Year off right!!! On January 6 & 7, 2018, we will be hosting a live cannabis business start-up & licensing seminar in San Diego to go over all aspects of cannabis retail, cultivation, distribution, transportation and delivery business start-up, operation and how to get licensed in YOUR city or county. Our hands on cannabis business start-up seminars are perfect way to get started! You get an intense day of advanced information about how to start and operate a state approved cannabis business. From Day 1 we will focus is on how and why you need to start up your cannabis business PROPERLY and LEGALLY, under the state laws. Ca Health & Safety Code 11362.775 (protection for cannabis patient collectives) has been changed. COLLECTIVES WILL BE RISKING CRIMINAL PROSECUTION AFTER JANUARY 1, 2018!!! Course objectives include: Step-by-step review of state requirements to start a cannabis related business in California. Ever since passing of MAUCRSA, many cities and counties are changing the way they think about cannabis businesses. Learn what you have to do to qualify for a cannabis business permit in your city or county. We will make sure ALL of your questions have been answered before you leave & you have a good comprehensive understanding of what it takes to start and operate a cannabis business in any city or county in California. Who will be at the seminar? For Experienced Growers – Let’s compare notes and you may find a few new tips or tricks, along the way. For Beginner Growers – LEARN the basics on how to grow marijuana per your physician’s recommendation or for the members of your collective. Cultivation is Part ART & Part Science – and STILL 100% Illegal – if you don’t follow the law! What documents you have to have posted in order to be compliant with California law. 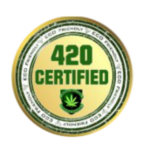 MEDICAL MARIJUANA cultivated FOR THE BENEFIT OF THE Member/Patient is All About QUALITY AND CONSISTENT “GRADE”, Testing and SAFETY. Focus is on what and how you can achieve the BEST Results to safely cultivate, produce and use MMJ for your better health! Objective: Learn the steps to take to insure you can produce medicinal quality cannabis from seeds, starter plants (clones) all the way through to harvest. Growing indoors, outdoors and hydroponics. Instructions for watering, lighting, ventilation, cycles. Equipment that will be needed. Detailed instructions on pest control, smell abatement, security, pH balance, and drying/curing. How to package the marijuana. 420 Cannabis University Events Give You a Chance to Reach Out and Meet Others like you who are just getting into the industry. Don’t Know Anyone in the Community, Now? 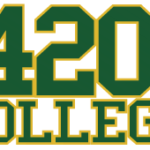 Find out how 420 College can help you in your business. Check out our Business Services.